The work of the professional bender is a mystery, few people really know how this world works and not many would be able to name one. In large part this is because the inherent purpose of professional dubbing is that it not be noticed, so the fact that not much is said about the subject could be considered a sign that it´s well done. However, these professionals complain about lack of recognition even within the sector and being considered “second-rate” actors. 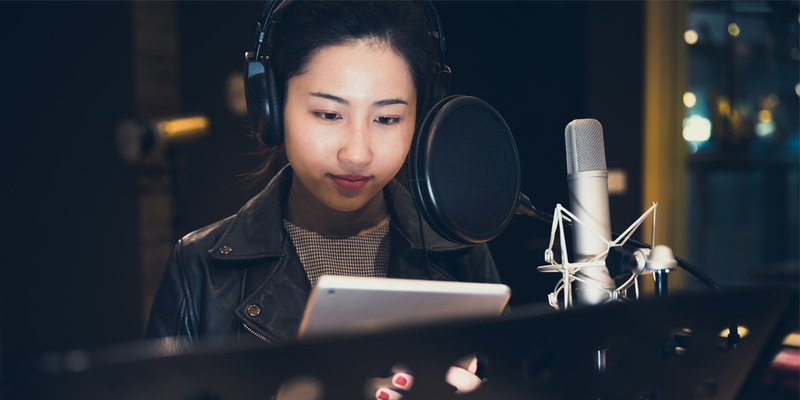 The truth is that the dubbing process is long and laborious and we should recognize the merit of the many professionals whose work it is to ensure that we don´t notice they are there. To that end, we want to explain how the dubbing process works, whether for a movie, a series, an advertisement or even a videogame. Many different professionals participate in this avenue of work, which we could divide into three groups. The first group includes the obvious; the actors and actresses, directors, etc. ; another group would comprise linguists, professional translators and reviewers responsible for creating the new script and finally, the technical team in charge of sound and postproduction. The team of professional translators is in charge of translating all the subtitled text in the original language into the target language. The translation must be understood in a very broad sense, since it´s not only a matter of translating the text phrase by phrase, but taking into account the linguistic particularities of each character and adapting them to the new language. This often requires high doses of creativity when working with jokes, double meanings or references that may not be understood by the target audience. In this phase, the translated text has to be adapted to the images. We have to keep in mind the difficulty entailed in translating a phrase from one language to another since it may have to be lengthened or shortened considerably, depending on the time the actor takes to enunciate it. In addition, changes will also have to be made during dubbing to make it sound as realistic as possible by matching the dubbed language as closely as possible to the lip movement of the actors. Once the final text is ready, the actual interpretation begins. This involves choosing actors and actresses, either from the database of the study itself, through castings or some other way. These interpreters rehearse and work with the management until everything is ready and the voices are recorded in professional studios with the help of sound technicians. This is the final step, where everything is put together. The technical team (under management supervision) is responsible for editing the take, adding new recordings to the images or other sounds from the original version to achieve the most realistic version possible. Many people are against dubbing, arguing that both the artwork and the original creation of the director get lost in the process. Another argument is that high quality dubbing and its widespread practice in some countries is partly to blame for the poor level of language mastery in the population, since (to an extent) “it makes it too easy for viewers”. On the other hand, there are those who are in favor of dubbing, convinced that it’s an avenue for cultural expansion without which many works would simply not achieve success, the underlying argument being that reading subtitles impairs proper viewing of the images, as well as the perception of the plot itself (if you want to learn more about how subtitles are done, read our post about audiovisual translation). There are even some who argue that on occasion dubbing actors improve the interpretation of the original actor so, contrary to diminishing the quality of the work, they enhance it. What about you, what do you think about dubbing?